Richard Carpenter: "I wind down by watching TV, and I'd come home from recording one night and turned on the Johnny Carson Show. He would have Bette Midler (as a) guest quite often, and this was before she was a household name, and on this particular appearance, she sang 'Superstar'. And she sang it more as kind of a modern day torch song, but the song really caught my ear. I thought it was a hit, no two ways about it. There's some that grow on me, and others where I'm kind of on the fence as to whether I think they are or they aren't, but 'Superstar', I really thought it had it all. So we cut it, and it was one of the very few tunes that Karen ever questioned me on. Usually, our tastes were exactly the same and I thought she'd just go crazy over this, and she didn't. So I asked her to just indulge me and sing it and listen to the record as it was being put together, and she changed her mind, it became one of her favourites. It's a haunting melody, it's a great hook, Bonnie Bramlett's lyric is definitely a little off the beaten path, and just as far as the vowel sounds and all, radio and away and all, it worked so perfectly for Karen. 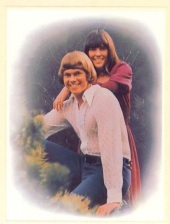 We did change one word, in the second verse: 'I can hardly wait to sleep with you again', we thought was just a little bit too much for The Carpenters and their listening audience, so we changed it to 'I can hardly wait to be with you again'. 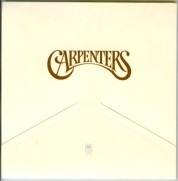 But that remains one of my favourite Carpenters recordings. Amazingly, Karen's vocal was a 'work lead', designed as a run through, but it was so good there was no need to record it again."